The month of love and feasting has arrived. While we prepare our hearts and pineapple tarts, Vanity Trove has, as usual, prepared us a trove of skin-loving goodness. 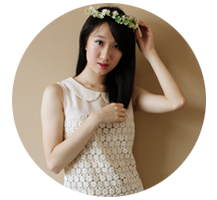 This month's theme, To Beautiful You, revolves around the arrows of Cupid and Victoria is quick to remind us that this special day isn't just for lovers, but for our loved ones as well. 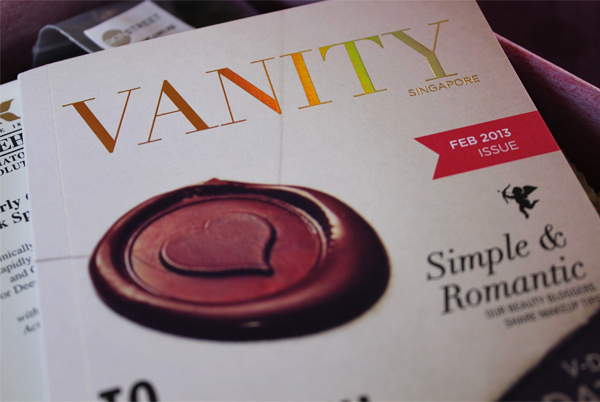 (: February's trove will be a delight for the mothers, daughters, sisters and girlfriends who love pampering their skins. Beauty Tip No. 2: Wear your heart on your sleeve. Don't hide your emotions - be honest and be true 'To Beautiful You'! Available at Isetan Scotts, Robinsons (Raffles City, Centrepoint), Metro Paragon and TANGS VivoCity, $118 for 30ml. This serum reduces wrinkles for all skin types without the effects of photosensitivity. With ingredients like Siegesbeckia and Rosemary Extract, it helps to rebuild natural collagen and elastin. Available at selected Robinsons outlets, $90 for 30ml. Designed for Asian skin, this 100%-active solution starts targeting deep-set dark spots upon application. Formulated with Activated C, it has an 'anti-cluster' technology that disperses discolorations and prevents melanin clusters. Lightweight and hydrating, this can be used all year round. The secret ingredient in this serum lies in the concentrated sheep placenta extract. Being a rich source of bioactive nutrients like essential amino acids, placental protein, SOD, nucleic acids and growth factors, this serum hydrates dry skin intensely, making it firm, smooth and clear. There has been a slow but steady growth in the number of products that contain sheep placenta and I'm really intrigued by it because there are many celebrities who reportedly swear by it. But I have yet to jump onto the bandwagon because results haven't exactly been proven. And it's really expensive. So thank you, Vanity Trove, for this lovely vial. (: I really want to see what magic this can do! Available at Robinsons (Raffles City), $96 for 50ml and $132 for 100ml. This new floral fragrance marks the continuing partnership between Donna Karen and CARE, a leading humanitarian organisation that rescues women from the vicious cycle of poverty. Available at Guardian (Marina Bay Sands and Paragon), $150 for 30ml. This lightweight serum contains Hydrasea, which is known to restructure the skin's moisture. It melts into the skin upon application. Available at selected Unity Pharmacy outlets, $16.90 for 100g. 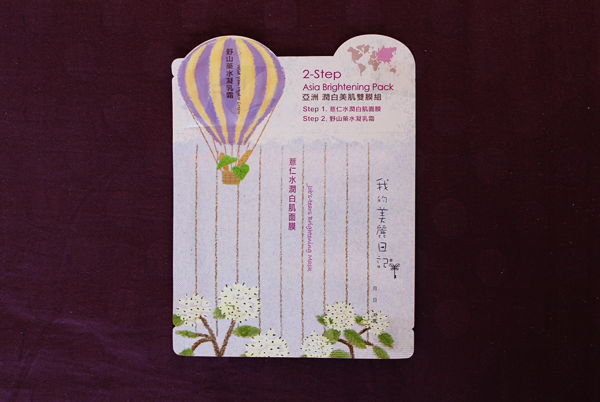 The soaps are made from herbs and plants specially cultivated in Ah Yuan's farm. The Honeysuckle Soap is great for diminishing heat and dampness. I first came across Ah Yuan's soaps in Junior College and because I love things that come naturally from Mother Earth, I remember spending a lot of time in Unity Pharmacy, reading and rereading the different descriptions of the soaps (Yes, I know. Massive waste of time but it was really quite fun!). But uhhh... They were bar soaps and bar soaps are known to be rather drying so I resisted and resisted and then, could resist no more. I bought 3 bars last year, have since finished the Oat Soap and it was really good and actually very moisturizing. It really helped reduce the dryness that eczema caused me. I'm currently using the Patchouli Soap for my body (I think the Oat one is better for eczema.) and the Mung Bean & Job's Tear Soap for my face. And I bought like a whole bunch of them on my recent trip to Taiwan. Haha. Available at selected Watsons outlets, $8.90 for a box of 5 pieces. This facial mask provides a protein-rich treatment that moisturizes the skin, erases fine lines and keeps it soft and radiant. 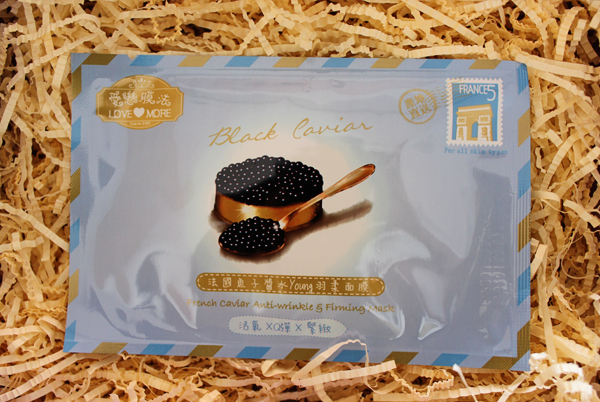 Meant for skin that faces problems of unevenness and dryness, the first step of this mask is jam-packed with Pearl Barley Essence and Liquorice. It works at the core of the skin, brightening and reducing discoloration. The second step consists of the Wild Yam Hydra Cream and it helps to alleviate skin imperfections, whilst moisturizing, softening and rejuvenating the skin simultaneously. 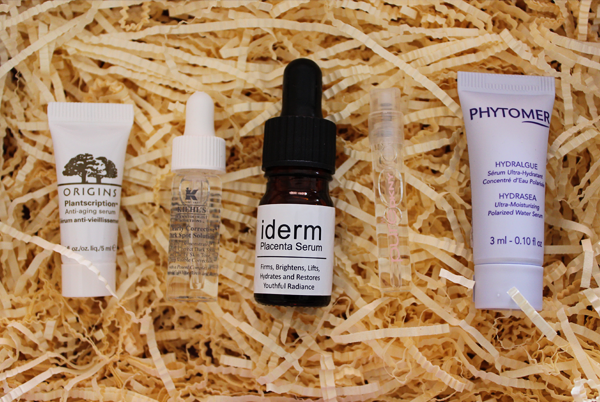 I'm a huge skincare junkie and so, am especially thrilled with this month's trove! 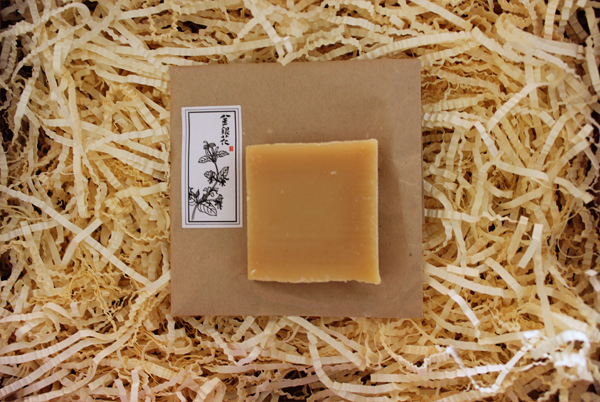 And it's really great, for me, that one of Ah Yuan's soaps is included in it because it's really quite good and I would like more people to know about the brand. :D There are like 4 serums and 2 facial masks in the trove... While it's great that we have choices, I think it would be even better if we could actually form a skincare routine out of the trove... Like have a cleanser, toner, serum, moisturizer and mask... Something like that. Heh. It's just an idea. Heh.